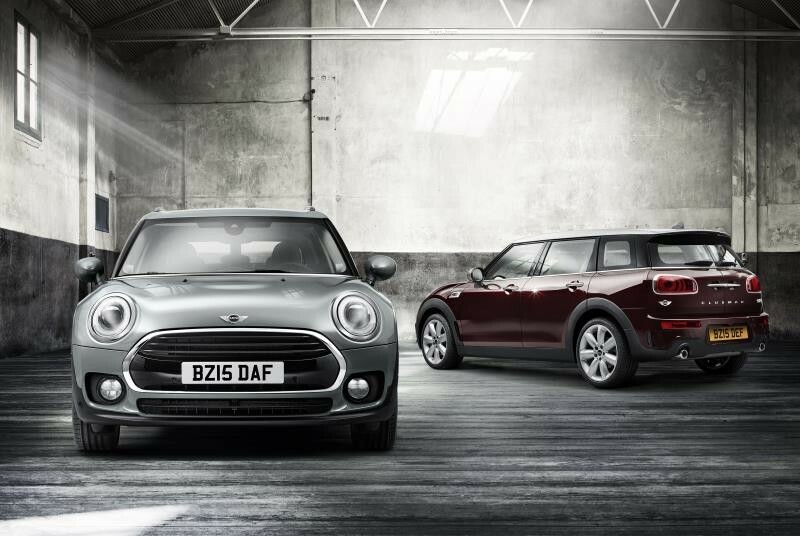 This entry was posted in news and tagged MINI Clubman press kits on June 24, 2015 by James Day. • New interpretation of the tradition-steeped shooting brake concept adapted to the demands of the compact class for the first time; powerful front section with inlets for Air Curtain at the front wheel arches; dynamically stretched silhouette with four side doors and a shoulder contour that emphasises the car’s width; long roof line and fin antenna with red alarm system status light; steep rear with characteristic split doors, Clubman model inscription and integrated, horizontal lights; new paint finishes Melting Silver metallic and Pure Burgundy metallic; roof and exterior mirror caps in white, black or silver contrast finish. • Weight-optimised and crash-optimised body structure; standard safety fittings include front and side airbags, side curtain airbags, 3-point automatic belts on all seats, at front with belt tensioners and adaptive belt force limiters, ISOFIX children’s seat attachment at rear and optionally also on the front passenger seat, tyre pressure display; excellent acoustic and vibrational comfort. • Model-specific MINI Excitement Package with LED interior and ambient lighting as well as novel projection of the MINI logo from the exterior mirror on the driver’s side when opening and closing the car; MINI Yours Interior Styles with backlit door bezels for the first time; alarm system including red LED status light integrated in fin antenna.